We are family run business, experienced and highly competent in commercial boiler installation. We offer a clean efficient service as well as having an in depth knowledge of all commercial heating and hot water systems. All our engineers are time served commercial gas engineers. We only install the highest quality brands of materials to ensure customer satisfaction. 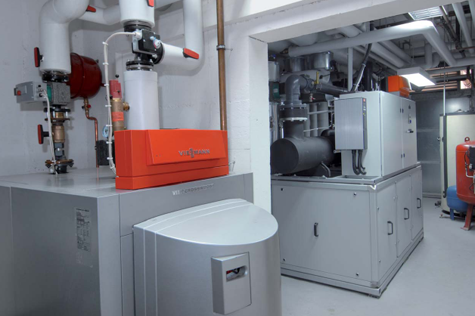 We are Viessmann Commercial accredited installers and repair specialists. Political frame works and continuously rising energy prices require, in particular for buildings with a high energy requirement, innovative heating technology solutions. Economic viewpoints both for new build and refurbishments show substantial cost saving potential in the areas of heating and process heating, which are under used so far. 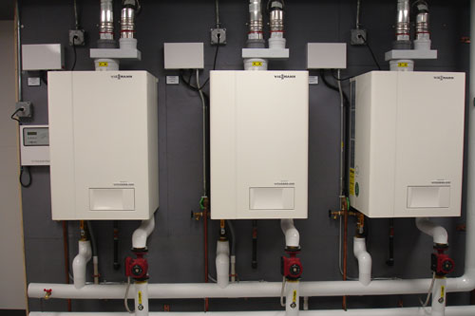 New commercial condensing boilers offer proven condensing technology. The combination of Inox-Crossal heat exchanger surfaces with the patented MatriX gas burners in our commercial condensing boilers is a milestone in heating technology. Our high-efficiency commercial heating systems achieve savings, which are linear to the increase in energy requirements of a building, whether they are industrial buildings or office buildings, hotels, hospitals and schools. In the short term the substantial efficiency differences will lead to considerable savings in energy consumption and costs. The amortisation periods therefore will be short. 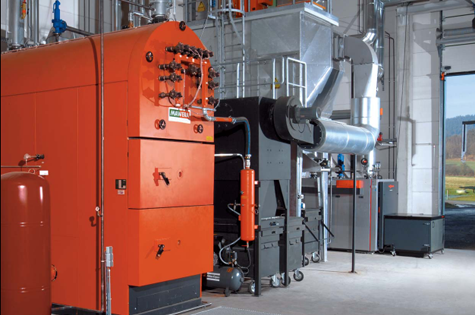 New commercial boiler systems, due to their construction and design, offer great potential for fulfilling individual requirements in a broad spectrum of their operational areas. For industry, trade and municipalities we offer commercial boiler solutions which are perfectly matched to each other: Renewable energy systems that cover basic load, which are combined with peak load boilers using fossil fuels. In order to obtain a perfect interaction and thus the highest efficiency, all system components for bespoke combination have this inherent flexibility built-in. We firmly believe in our dual strategy of energy efficiency and the satisfaction of fossil fuels with renewable energies. With a comprehensive range of commercial boiler systems, whichever new boiler you decide upon – with their high energy efficiency, all of our new boilers contribute to a drastic reduction in heating costs and are also ecologically the perfect choice. Efficiency is, likewise, the focus of attention in the generation of steam for industrial processes, since it has a direct impact on the production costs. Many applications call for high steam volumes in a short period of time, which must be generated with a correspondingly high use of gas or oil. Rising energy costs are a particularly significant factor here and have a considerable negative impact on payback periods. Efficient steam boilers with high levels of flexibility and availability are therefore the most important prerequisite for cost-effective system operation. As an environmental pioneer we already offer efficiency and low-pollution heating systems for all fuel types and ranges of application for decades: Whether trade, industry or local projects - owing to our comprehensive and complete product range we are able to offer independent advice on all energy questions.